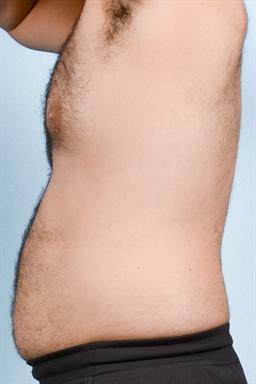 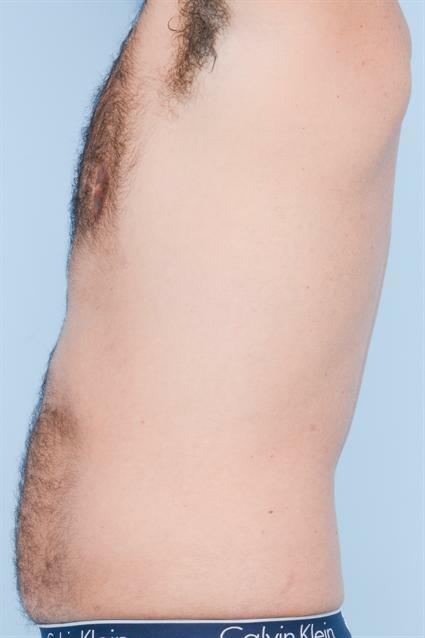 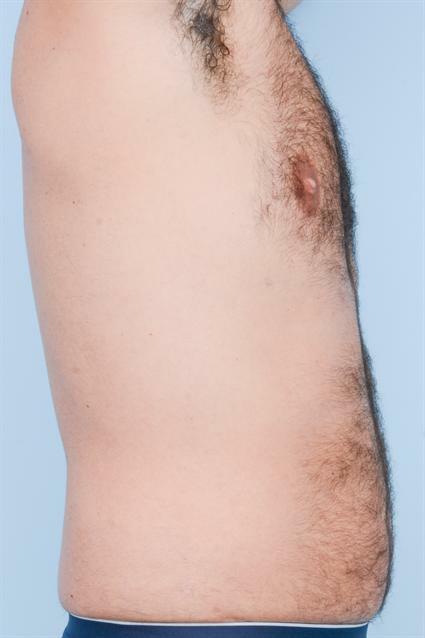 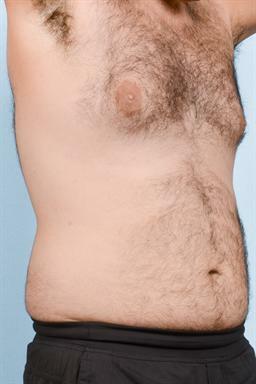 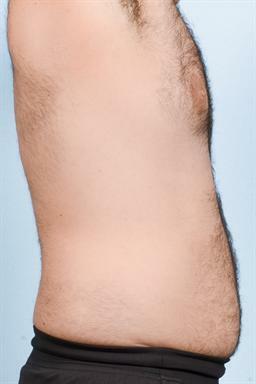 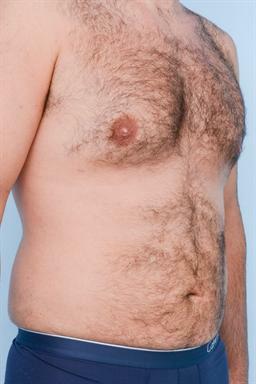 This 38-year-old man was embarrassed with the size and appearance of his chest and unhappy with the excess adipose tissue on his abdomen and flanks (aka love handles). 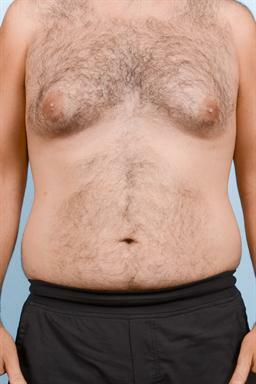 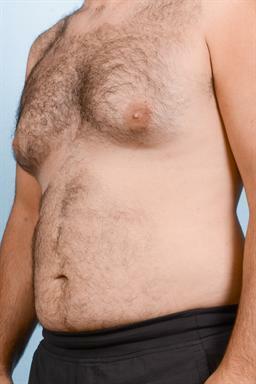 There was excessive fat and breast gland, giving his breasts an excessively large, non-masculine appearance. He had our standard gynecomastia procedure, with liposuction and resection of breast gland tissue, all done through a 7 mm incision on the side of the chest as well as liposuction to his abdomen and flanks. 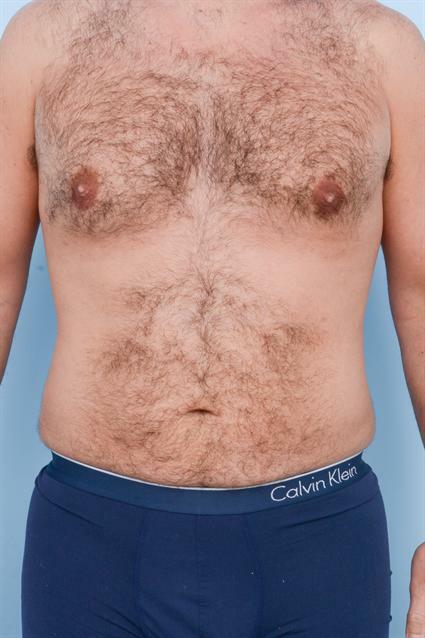 The result shows a much improved chest contour, with a more masculine appearance with a slimmer abdominal core, all done with almost no scar at all.